Greek National Tourism Organization President Charalambos Karimalis; Athina Luxury Suites Co-owner and General Manager Artemis Argyrou; Co-owner and General Manager Panagiotis Iglesis. 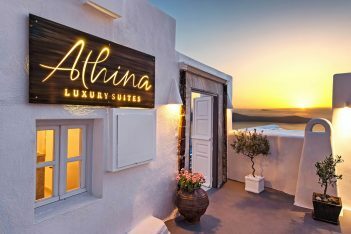 The Athina Luxury Suites hotel, located on the island of Santorini, has been named “Boutique Hotel of the Year” and received an “Honorable Mention” at the Greek Hotel of the Year Awards. 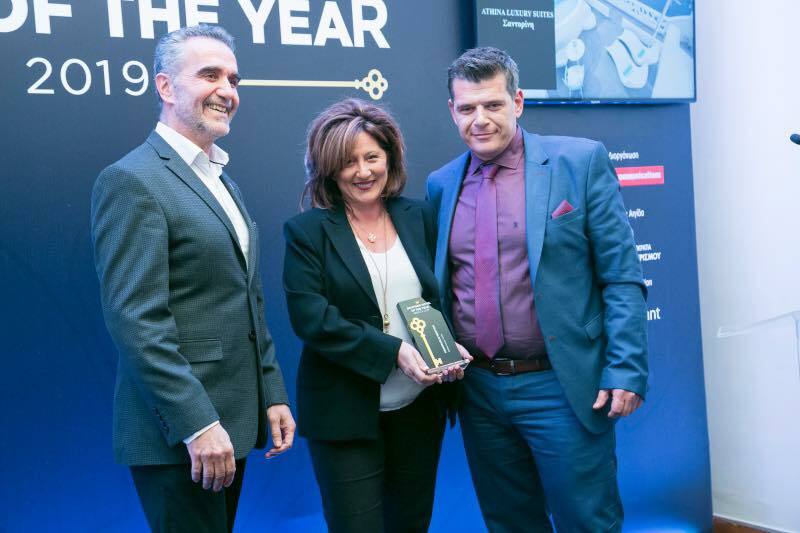 Organized for the first time by the Hotel & Restaurant magazine, the awards recently recognized the best “newcomers”, classic venues, and hidden gems of the Greek hospitality industry, based on strict criteria. According to an announcement, Athina Luxury Suites was honored with the prestigious title for its exceptional service, product, location and review score. “This accolade justifies and rewards our team’s efforts to meet the needs and expectations of our prominent guests from around the globe,” said Athina Luxury Suites General Manager Panagiotis Iglesis. Athina Luxury Suites is located in Fira, right on the cliff of the famous Santorini caldera. 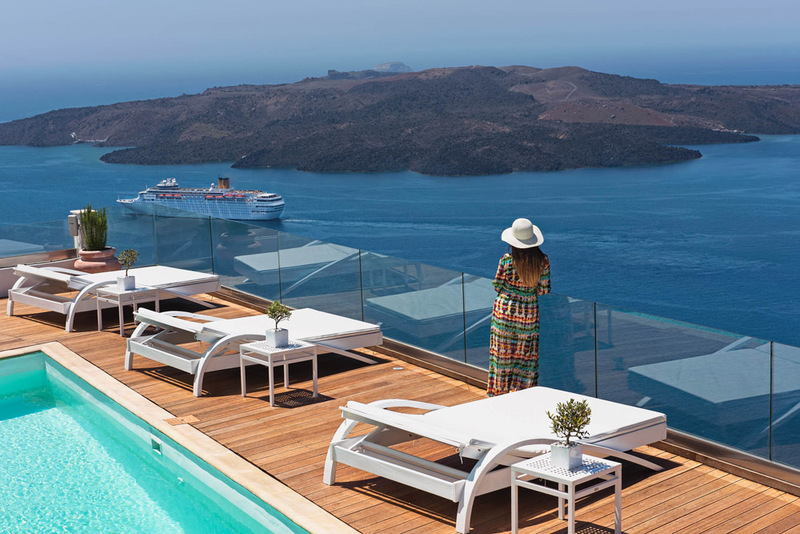 Overlooking the volcano, it includes 14 recently renovated suites offering minimal design and luxury amenities designed for demanding travelers who seek to combine privacy, high-end services and comfort with the majestic view of Santorini. During the last few years, Athina Luxury Suites has received a number of international accolades. In 2018, the hotel won the “Best Hotel View, Boutique Hotel in Europe” title at the 2018 Haute Grandeur Global Awards, and was also announced “Best Luxury Romantic Hotel in Greece” at the 12th Annual World Luxury Hotel Awards 2018.